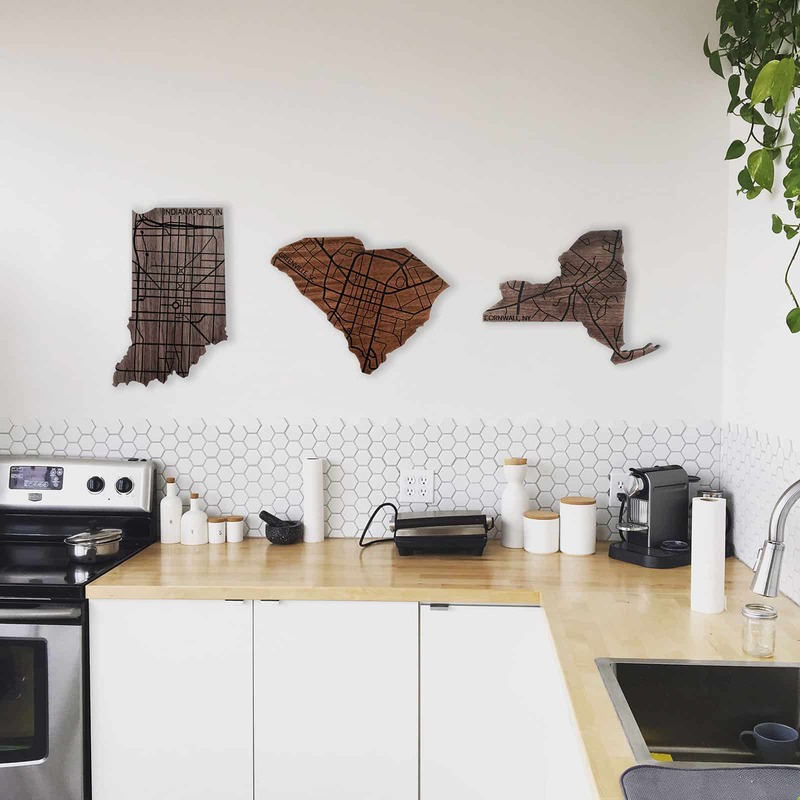 Local Stature is the husband and wife team Christopher and Reagan Burress, who got the idea to create and sell custom map art last christmas, when Christopher made Reagan a map of Indianapolis (her hometown). She loved it and thought others would too, and set out on a journey to make and sell other locations. 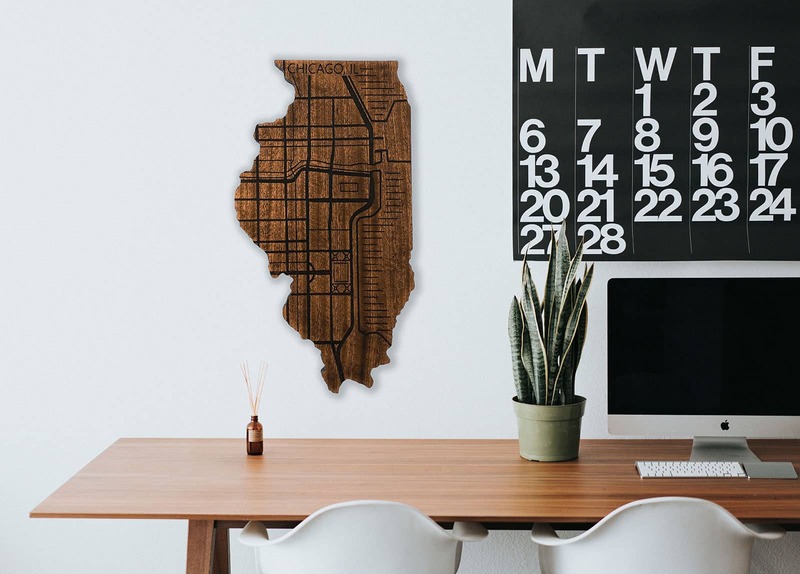 The shapes and maps are designed by Reagan on the computer and loaded into a CNC router, which cuts the outline and roads into a piece of wood. They then sand down it all down and apply a stain, which looks darker in the cutouts (roads) and apply a glossy topcoat. The result is a beautiful piece of art, that can be infinitely customized to match the city and state where you were born, married, had a child, or pretty much anything else you can think of. It’s a perfect gift for the hard-to-buy for men, parents, or grandparents in your life that seem like they have everything. They’re really cool, unique, and look great anywhere. Prices start at $45, and can be purchased from Local Stature’s Etsy store. Dreaming back to a couple of weekends ago, when we made a pitstop in Waco, TX during a weekend trip to Dallas. The Silos were dreamy even in the rain, and my interior design heart swooned over all the thoughtful details. I couldn't resist the opportunity to document our Waco State Sign in its natural habitat!